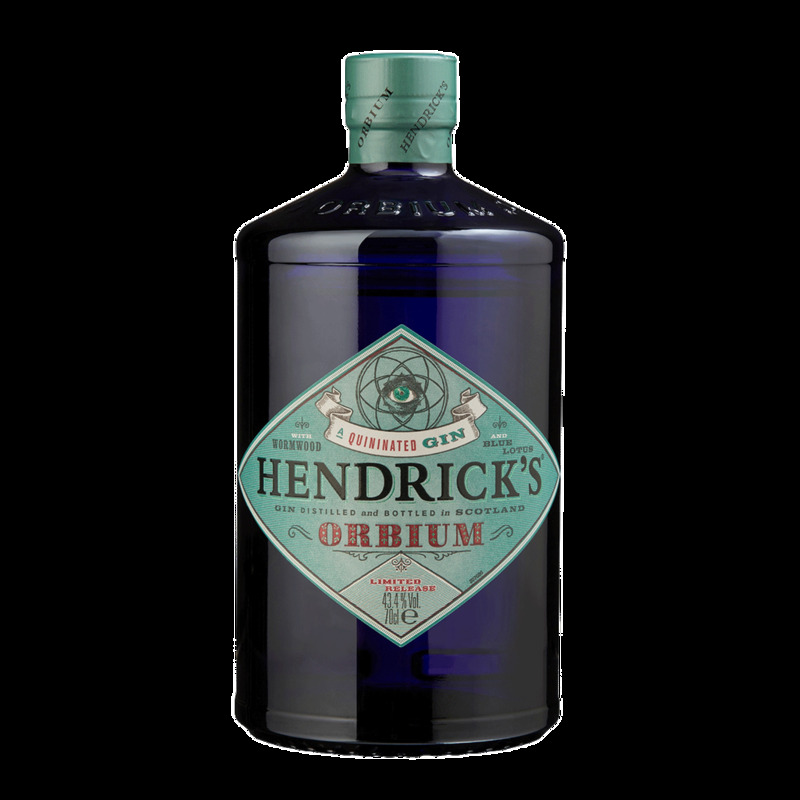 Spirits Hendrick’s Orbium Gin - Royal Wine Merchants - Happy to Offer! Limited Editition Orbium derives from the word 'orb'. Latin for circle. A reimagining of Hendrick's Gin by Master Distiller, Lesley Gracie. Instilled with additional extracts of Quinine, Wormwood and Lotus Blossom, the result is an oddly exquisite gin that sits roundly on the palate, complementing our beloved cucumber and rose essences. Inspired by Lesley's description of the liquid's journey, tt represents the spherical round taste that Lesley refers to when describing the Hendrick's house style. Beautifully presented in the same iconic apothecary style bottle that is now synonymous with Hendrick's albeit in a sumptuous dark blue, inspired by the key essence of Blue Lotus Blossom. The 'all seeing eye' on the label as a continuous circle and a reference back to the liquid's rounded character. The addition of Lotus Blossom exquisitely balances the overall flavor; but, the trinity of essences together create a complex gin with surprising brightness and a finish that is uncommonly long and perfect for the martini-obsessed.